Some of the interns who helped with the 'Economic Report of the President' will make you do a double take. This year's Economic Report of the President credits an unusual group of interns that includes the alter egos of Batman, Spider-Man and Captain America, Monty Python alumnus John Cleese, Kathryn Janeway from "Star Trek: Voyager" and the corpulent Star Wars villain Jabba the Hutt. 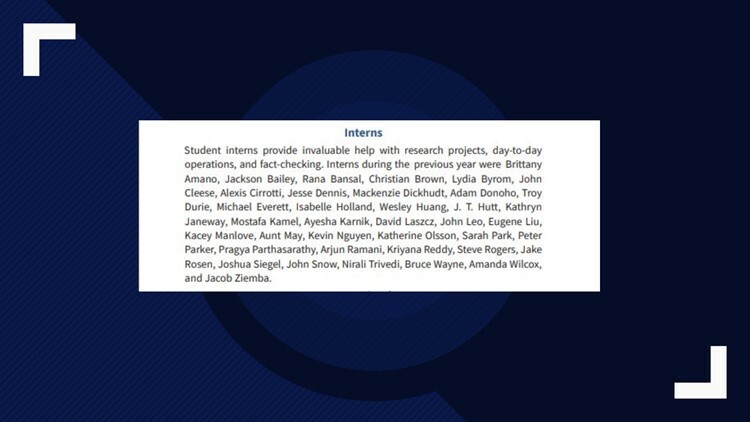 This screenshot from the 'Economic Report of the President' listed an unusual group on interns. It included Batman and Spider-Man's alter egos, along with Jabba the Hutt and John Snow, among others.